Rose & Fitzgerald is a Californian husband-and-wife duo designing and finding goods out of Africa. All of the products are ethically made with care and precision by talented African artisans. All Rose & Fitzgerald producers receive, at minimum, beyond fair trade wages and a healthy, ethical working environment. The duo who founded Rose & Fitzgerald, Courtney and Laren, have been loyal tenants of Smart Self Storage of Solana Beach since 2016. Rose & Fitzgerald was born out of a desire to marry beauty, design, impact, and adventure in a single brand. 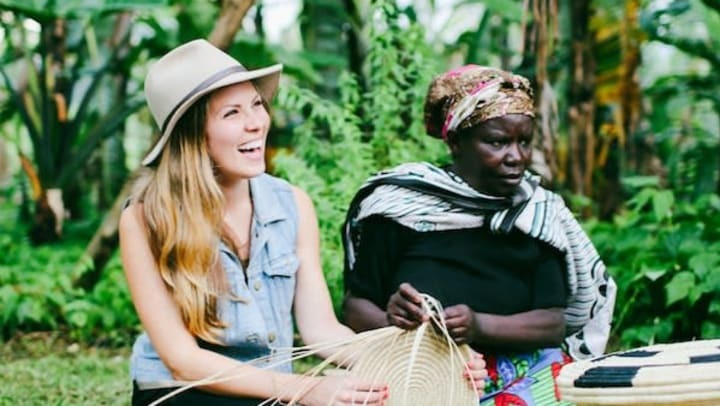 Courtney and Laren started the business in 2013, not long after moving to Uganda for a job in the humanitarian sector. Courtney realized there was a major opportunity to share the beautiful craftsmanship and materials she had discovered at her adopted home with an audience who values items handmade with a soul and story. Courtney has mentioned that she enjoys storing with us because of the cleanliness, the friendly and helpful staff, and the convenience of having their goods shipped directly to our facility. The team at SBSS often sees Nicole, who is Courtney’s best friend and associate. Nicole manages inventory and shipments. We are incredibly impressed with how well organized Nicole keeps their 10x35 drive up unit! Of course, this makes it easy to pick up and drop off shipments. Thank you, Courtney, Laren and Nicole, for your continued business and for making a positive impact in the Ugandan community where your products originate. We love what you do and are happy to help support your business with a convenient and clean storage space for your inventory. Learn more about the products for sale and the craftsmen who make them so beautiful at www.roseandfitzgerald.com. You can also find them on Instagram: @roseandfitzgerald.